LG has recently launched a new smartphone which is now holding the crown of world’s most powerful smartphone. Yes, it’s LG G2 (earlier rumored as LG Optimus G2) and now LG is planning to launch it in India. From the official fan page of LG India, they have confirmed that LG G2 is coming soon in India and it’s expected that LG will prepare a launch even for its high end Android smartphone on September 30th in a metro city of India. LG G2 runs on Qualcomm Snapdragon 800 chipset which offers it immense processing power and had made it world’s most powerful smartphone yet. The display is also gorgeous which measures 5.2 inch diagonally and features full HD resolution. 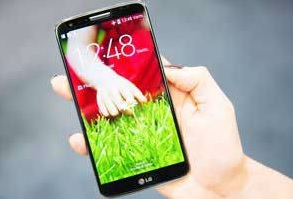 LG G2 Specifications – What’s making this device a gem? If you’re not addicted to Samsung or Micromax smartphones in India and still waiting for a smartphone having fresh design, unique feature and powerful processor then LG G2 has got following specs sheet to excite you. Let’s start with connectivity, LG G2 supports up to 4G LTE cellular network but in India it will be limited to 3G only. But as its going to be the latest version of hardware so you can expect much higher speed over 3G cellular network. The 5.2 inch display has been added on True HD IPS LCD panel featuring full HD resolution of 1080×1920 pixels. The pixel density is 424 ppi which reflects the display quality you’re going to have in G2. Though it’s a phablet but still LG has managed to shrink the overall size by stretching display to corners. The device is also very slim, just 8.9 mm thick and weighs only 143 grams. The quad core Krait processor is clocked at 2.26GHz which is supported by Adreno 330 GPU and all four traditional sensors found in high end smartphones these days. There is no place for external storage card but internally it holds on to 2GB of RAM and 16/32GB of internal storage. There are few other devices running on this combination of CPU but still LG G2 is above them in terms of performance, thus grabbing the crown. The camera optics is also much powerful. Its 13MP camera at rear with autofocus and LED flash while there is 2.1MP camera at front. Both cameras can record full HD quality videos but the rear camera can record frame rates of 60 fps too. Optical image stabilization is also there to bring out some extraordinary quality in the pictures. Right now, LG is shipping G2 with Android 4.2.2 Jelly Bean which isn’t the latest version any more but in near future it will definitely get update for Android 4.3 or may be directly to Android 4.4 KitKat. The software is just the same as you may have seen in any other high end LG Android smartphone. Apart from all these features, the battery life is also exceptionally good. It features non-removable 3000 mAh battery. G2 is having better battery life than all high end Android smartphones like HTC One, Moto X, Galaxy S4, etc. You’ll also notice one unique feature in the G2 which is there are no hardware keys on the side. The volume rocker and power button is fixed on the back just below the camera. So LG G2 is ready up there to provide some new experience to the users. These were the specifications of LG G2. I’m not the only one being fascinated by its performance. It is worth to wait for it and I got the LG G2 price in India for you down here. The main rival in front of LG G2 in terms of performance is the newly launched Sony Xperia Z1 which is priced at Rs 42,999 in India. But LG G2 is definitely going to be tagged with little higher price. The LG G2 price in India is going to be around Rs 43-46k. An online e-commerce portal Saholic has listed the LG G2 for pre-order. 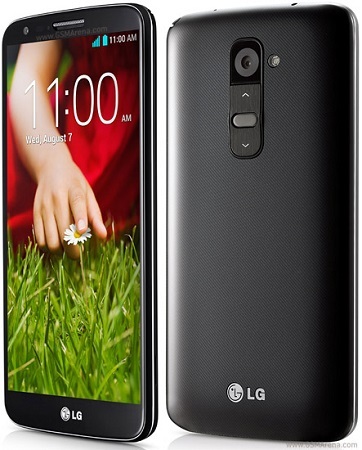 The LG G2 price in India as listed by Saholic is Rs 40,499 and the delivery will begin from September 30th.